Have you ever felt like no one really listens, like your words fall on deaf ears? And if by chance they actually hear you, that they don't take you seriously? Welcome to Porter's predicament. 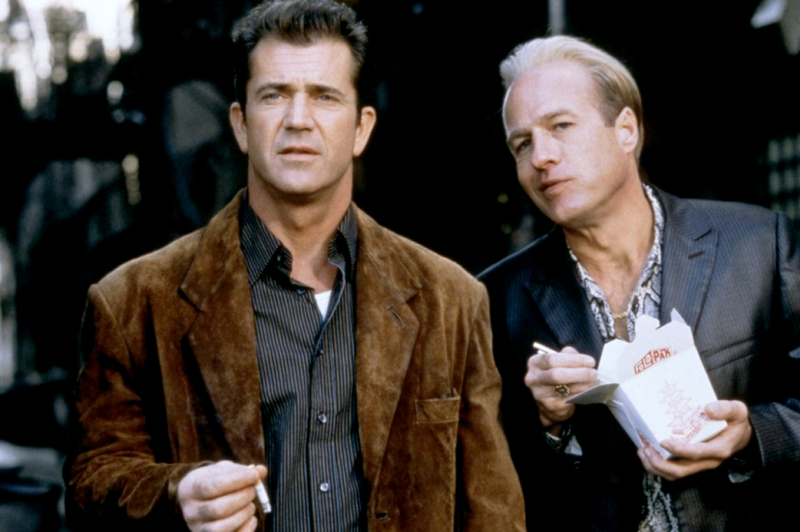 Based on "The Hunter" series by author Richard Stark, Payback stars Mel Gibson, Maria Bello, and Gregg Henry. Like the film's theme, the film too was a bit overlooked. Gibson, whose production company, Icon Productions, funded the project, underplayed the Porter character, making him unforgettable and believable. Sure, he's essentially a bad guy, but in his world he's actually better than the others. The film begins with thief Porter waking up after getting shot down, betrayed by his partner in crime Val Resnick - played perfectly slimy by Gregg "Hubba-Hubba" Henry. Porter decides to get back on his feet and claim his share of their recent heist: $70,000. No more, no less. Got that? Pay attention, because he just wants his 70 Gs. But as it turns out, Resnick now works for "The Outfit", a high end crime organization. Getting his money back may be trickier than expected. And though Porter gets in over his head, it's not really an underdog story. The director, Brian Helgeland, on the other hand, could better fit that label. After writing such screenplays as Assassins, L.A. Confidential, and Conspiracy Theory, Helgeland had been given the opportunity of his life - to direct his first feature length film. Because of his history with Richard Donner (Director of Superman, The Lethal Weapon Series, and The Goonies) as well as working with Mel Gibson, Helgeland was taken under their wings and given his chance to move into the director's seat. Gibson, who had heard about Helgeland's script for Payback while on set of Conspiracy Theory, told Helgeland that if he liked the screenplay, he'd produce it. Months later, just as Helgeland felt the project would never come to fruition, Gibson called and asked if he could be ready in twelve weeks to begin shooting. Richard Donner, who remains uncredited in the film, was on set as a consultant to Helgeland. In the behind-the-scenes interviews, Helgeland is clearly humbled by his experience with the legendary director. Donner, too, speaks of Helgeland in high regard. The two seemed to have bonded like a father-son relationship. With such strong guidance, it's sad then that there was conflict towards the end of production. Helgeland's original ending was deemed too dark by the studio and he was asked to revise it. He remained insistent on his version, despite advice from Donner and Gibson, and was eventually fired. Gibson and the remaining team then shot additional footage that now had several changes including a new ending, Gibson's voice over, and actor Kris Kristofferson as Bronson, the head of "The Outfit". Year's later Helgeland was given the opportunity to put together a director's cut, which goes by the title Payback: Straight Up. 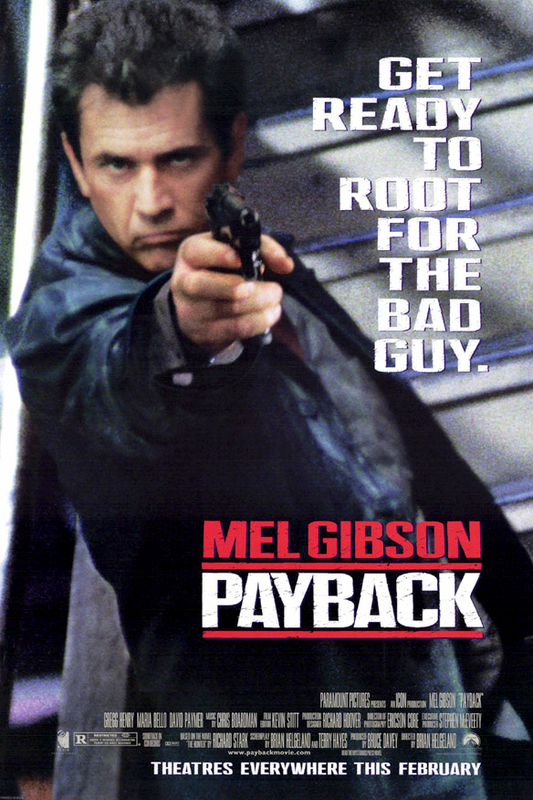 In most cases, I lean towards a director's original vision, but Payback's theatrical release is by far my preferred incarnation. If you can hunt it down, there is a Blu-ray disc available that includes both theatrical and director's cut versions along with several behind-the-scenes featurettes (note: this Blu-ray will more than likely only be found online - check Amazon). It's ironic that Helgeland didn't heed the advice of two amazing directors (Donner and Gibson). After all, the film is basically about people who don't listen. Still, I commend Helgeland to sticking to his guns. Gibson wasn't the only one delivering a pitch perfect performance. Along with Gregg Henry as Resnick, William Devane and Kris Kristofferson as Carter and Bronson, respectively, add richness to what could have easily been one-sided characters. They're bad guys with what they perceive as good intentions. Kristofferson is especially memorable as a very frightening head honcho. Unfortunately for him and his "Outfit", however, they don't take Porter seriously. It's a mistake they may soon regret. Throughout the film, Porter has to climb his way through so many obstacles that by the time he reaches Bronson's number two man Fairfax (played charmingly by James Coburn), it's almost tragic. But Coburn adds a much needed comedic relief that helps take the audience through Porter's struggle to the top. And with a character as devious as Porter, it's fortunate that Helgeland and co-writer Terry Hayes give their characters enough...well...character to make the line between good and bad a bit more gray, and thus more interesting. Helgeland and Hayes slow Porter down even more by throwing a couple of crooked cops his way in the form of Detectives Hicks (Bill Duke) and Leary (Jack Conley). And of course there's the always great David Paymer as Stegman, a lowlife trying to work alongside Hicks and Leary while secretly maintaining his drug connection with Resnick. And if Porter didn't have enough to contend with, there's also a Chinese Triad with Pearl (played by Lucy Liu) as one of its members trying to kill Porter over a crime he committed a few months back. Then there's Porter's drug addict wife Lynn (Deborah Kara Unger) and his previous lover Rosie (Maria Bello). Rosie (a high end call girl) and Porter (her former driver) have a long, troubled history. The relationship is forced back together when Porter is left on his own and seeks the help of the only person he trusts. Rosie, of course, blames him for their original separation, and Porter likewise. That tension brings back the film's theme of negligence. 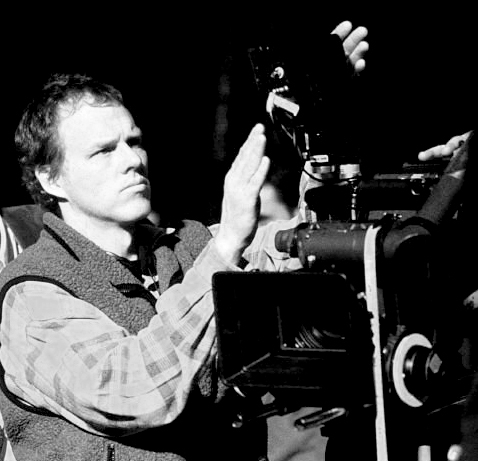 Though the film's strength comes from Helgeland's script, he also enlisted the help of some excellent collaborators. Composer Chris Boardman's brass-heavy music adds a cityscape overtone with an almost grandeur feel. And thanks to Director of Photography Ericson Core, the film's grit is achieved by creating a cold, blue hue to the streets - which is basically Porter's territory. In contrast, the interiors are rich and warm - like a foreign country where Porter doesn't belong. Sadly, these two incredible features were taken out for the Director's Cut - a decision that seems odd given that they were two of its best qualities. 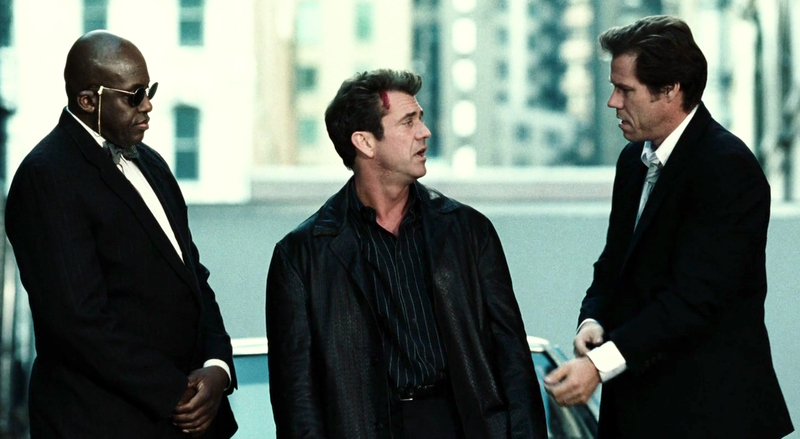 Payback may have two versions with fans and critics arguing which is superior, but what should be appreciated is the film's story and quality of characters. Bad guys don't have to be bad for no reason. They don't just have to be there to antagonize the good guys. If Helgeland (and Richard Stark) proved anything, it's that bad guys can have history and significant motives too. Bad guys, in certain situations, can actually be good. TRIVIA: In Richard Stark's novel "The Hunter", the main character's name is Parker (not Porter). Additionally, Stark has claimed that he wished he had named him differently, in part because he has always struggled writing sentences describing Parker parking his car.